Are you too embarrassed to carry a BlackBerry smartphone these days? With the influx of much more powerful devices from Apple, Samsung, HTC and other firms, we wouldn't be surprised if you felt a little… underwhelmed by the device. But embarrassed? According to a new report from The New York Times, that's becoming more and more the case for consumers who choose to carry a BlackBerry. "I'm ashamed of it," one person told the newspaper, noting that she hides her BlackBerry under her iPad at work so that she isn't judged by clients who might balk at the site of the smartphone. "I want to take a bat to it. You can't do anything with it. You're supposed to, but it's all a big lie," the person continued. That BlackBerry owner isn't alone. 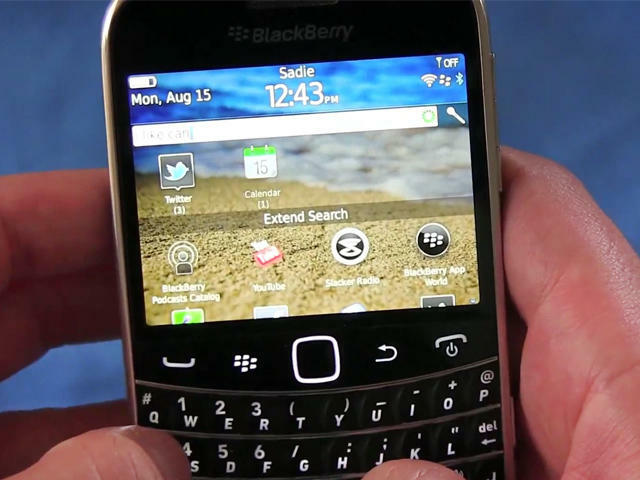 Several other people voiced their concerns and embarrassment with BlackBerry smartphones. One man described trying to find a charger at a country club and when the concierge saw his choice of smartphone was told "no, not for that," in a "disgusted tone." "You're constantly watching people do all these things on their phones and all I have going for me is my family's BBM chats," another person said. I don't really think it's an embarrassing device. I usually just assume the person carrying a BlackBerry is required to for work. Or that they haven't upgraded recently. Sadly, this is the type of stigma that RIM has to deal with when it launches BlackBerry 10 next year. Too many BlackBerry users already have a sour taste in their mouths, as exhibited by the quotes above. Can RIM sway them back? It's going to be tough, for sure.